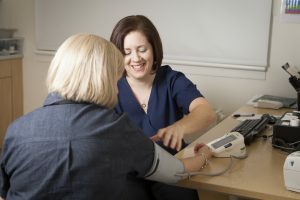 We recognise the importance of risk reduction and primary intervention through our chronic disease management clinics, advice on diet and exercise and successful management of high blood pressure and the use of cholesterol lowering medication. If you are included within any of the registers, the practice will invite you to attend regular reviews to assess your health and ensure you are receiving the appropriate care and medication, if appropriate. We are required, as part of our contract with the NHS, to invite you to participate in the review of your health relating to your condition.